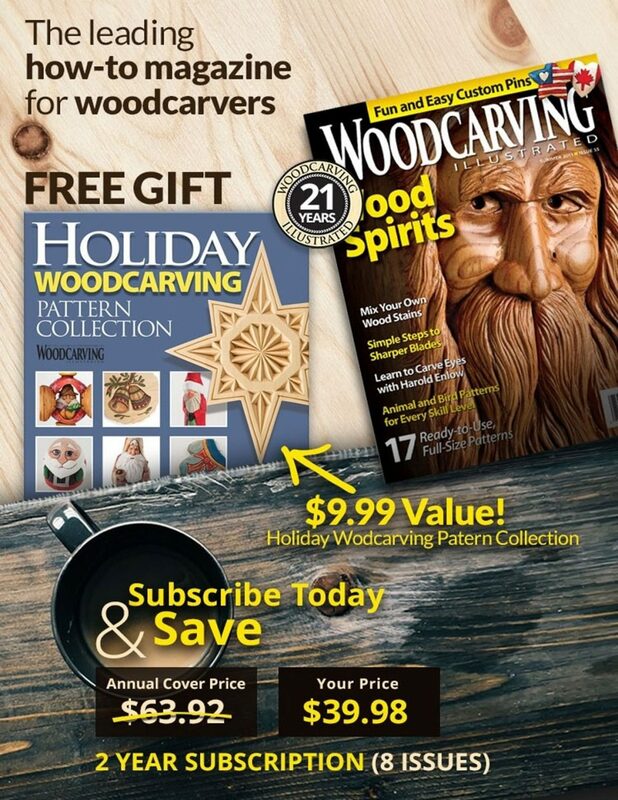 This article was first published in issue 54 of Woodcarving Illustrated. 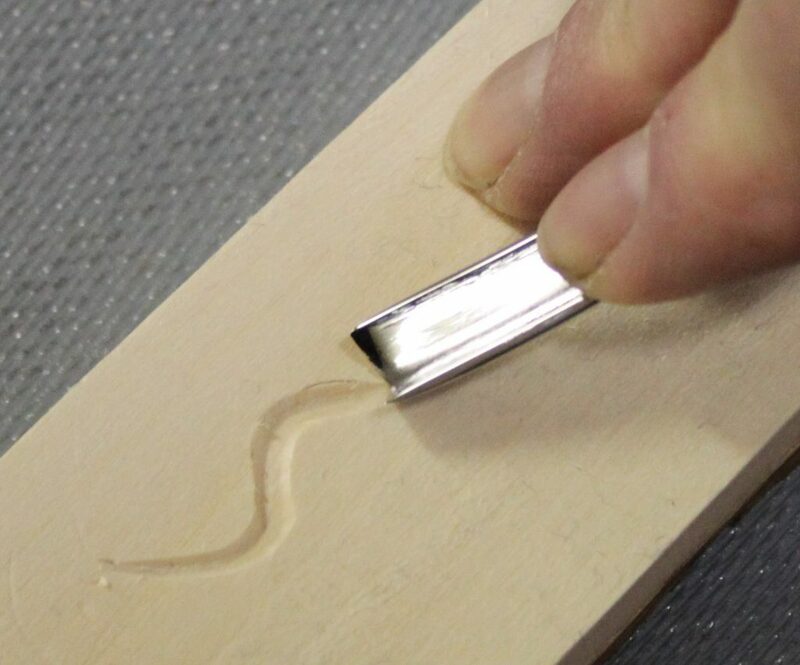 A V-tool is simply two chisels stuck together, and chisels are the easiest tools to sharpen. 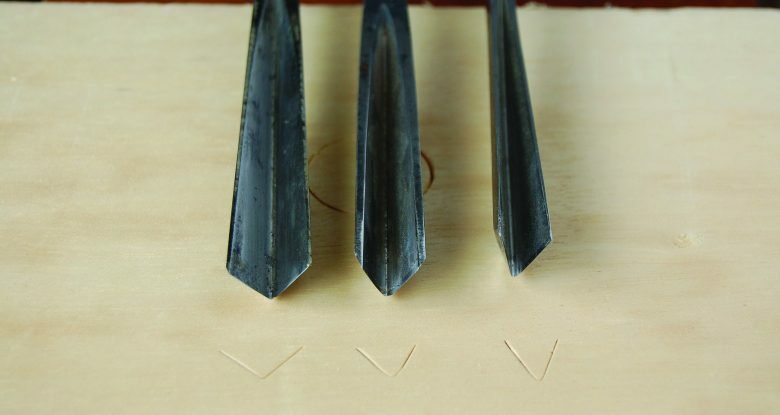 The trick to sharpening V-tools is to sharpen both chisels equally. Avoid cheap V-tools. If the sides of the tool are not shaped properly from the factory, a V-tool can be difficult, if not impossible, to sharpen properly. Before you start sharpening, make sure both wings are even. If one wing sticks up higher or out farther than the other, remove metal from the cutting edge until the wings are even. 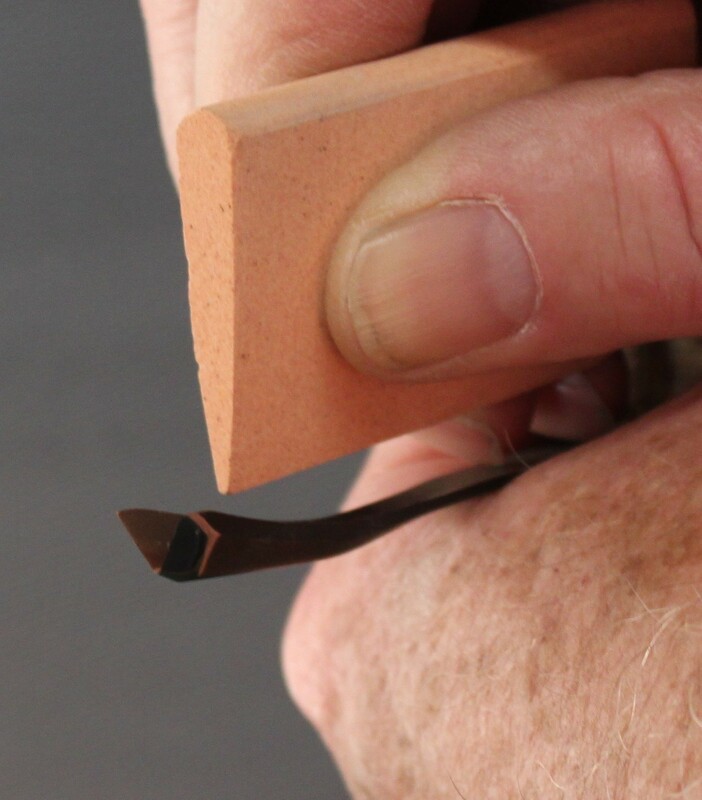 Use a diamond hone, traditional stone, sandpaper, or a grinding wheel to even out the wings. Light reflects off of flat surfaces, such as a dull spot, when you look straight at an edge. Always look at the edge of the tool you are sharpening. When you no longer see any light reflections, the edge is sharp. With this method, you do not have to worry about the bottom of the V where the wings come together (also called the keel). Many carvers round this keel as they finish sharpening the tool, but I don’t find this necessary except for large V-tools. If you sharpen both wings of the V evenly, the keel takes care of itself. 3. Strop the V-tool. I use a leather strop to keep my tools sharp. Strop a V-tool the same way you strop a chisel. Place one wing of the tool on the strop with the entire bevel touching the stop. Pull the tool toward you with an even stroke. Repeat the process eight to nine times, and then use the same process to strop the other wing. 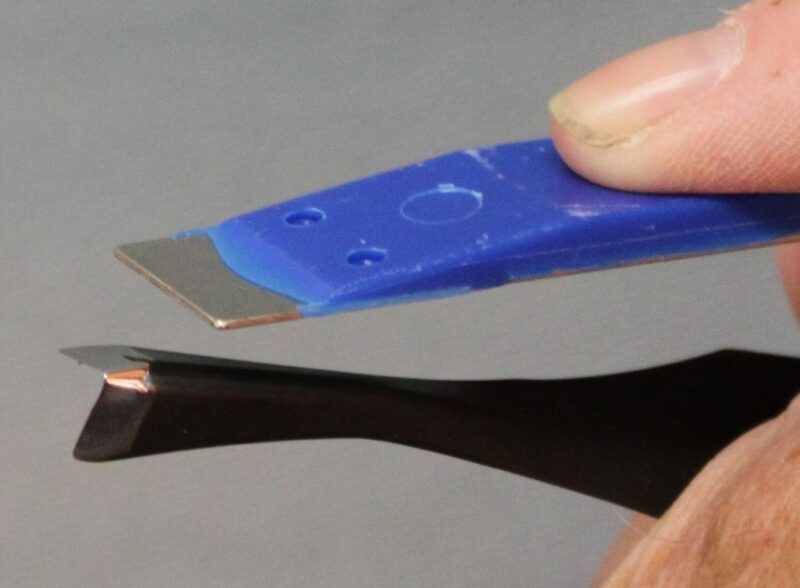 If you sharpen the tool properly, you do not have to do anything with the point or apex of the tool. 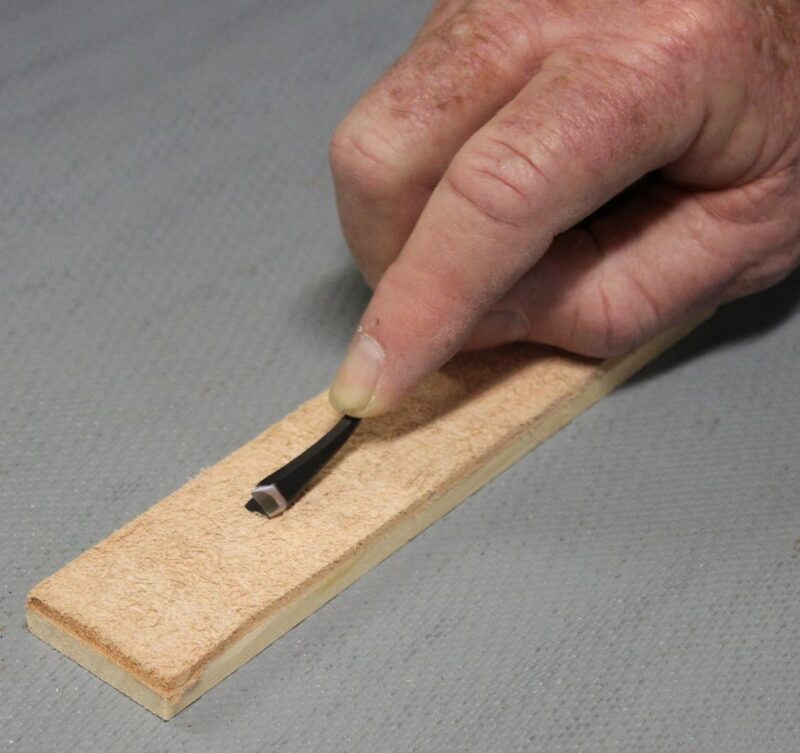 Use a leather shoestring, slip stone, or piece of wood to strop the inside of the tool. 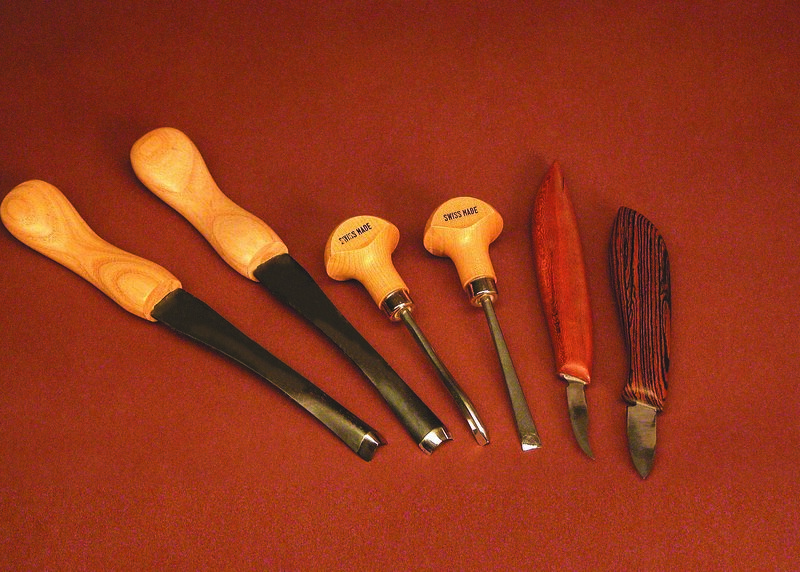 Mac Proffitt has been teaching carving classes and tool sharpening for more than 15 years. 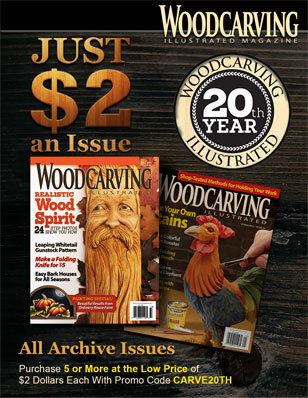 Contact Mac or visit his shop, Smoky Mountain Woodcarvers, at www.woodcarvers.com.